Best of luck to our senior hurlers and team management for their All Ireland hurling semi-final against Limerick in Croke Park on Sunday next, August 16th at 3.30pm. Victory will mean a first All Ireland senior final appearance since 2001. Old rivals Limerick will not be easy to overcome and a close encounter is the forecast of most commentators. Tickets for Tipperary v Limerick are available through clubs, from Lár na Páirce in Thurles up to 5pm on Saturday, and on Ticketmaster, www.ticketmaster.ie. Adult tickets are €45 each. Family tickets are €45 per adult and €5 per juvenile. Hill 16 tickets are €30. The meeting of Limerick and Tipperary on Sunday will be their first championship encounter since the 2007 trilogy of games in the Munster Championship. Two years ago, it took over four hours of hurling to separate the counties after three matches with both replays going to extra time before Limerick won the second replay by 0-22 to 2-13. Just over two years later, it is interesting to look at the changes in the respective team line-outs. Limerick’s starting line-up in their 2009 All-Ireland Quarter-Final victory over Dublin contained 9 of the team which started the 2007 second replay against Tipperary with all of the defenders from 2007 still in the starting line-up. Meanwhile, Ollie Moran was introduced as a substitute against Dublin and Niall Moran is returning from injury. For Tipperary 6 of the team which lined out in the 2007 second replay defeat to Limerick were also in the starting line-up against Waterford in the 2009 Munster Final with Declan Fanning, Conor O’Mahony, Shane McGrath, James Woodlock, Eoin Kelly and Lar Corbett the players to start both games. Hugh Maloney and Benny Dunne were starters in 2007 and both made appearances as substitutes in the recent Munster Final success while Willie Ryan came on as a substitute in both games. Limerick will go in to Sunday’s match relying on a number of players with experience of winning big games in Croke Park. 13 of the 18 players used by Limerick in the All-Ireland Quarter-Final victory over Dublin were involved in Limerick’s Croke Park victories in 2007 over Clare and Waterford on their march to the All-Ireland Final. Tipperary’s 2009 Munster Final winning team had four players in the starting line-up who have won a Senior Championship match in Croke Park, namely Brendan Cummins, Paul Curran Eoin Kelly and Lar Corbett. Benny Dunne, who appeared as a substitute in the Munster Final, also has experience of Croke Park victory with Tipp. In fact, all 5 were involved in Tipperary’s last Senior Championship victory in Croke Park – a 2-16 to 2-11 victory over Offaly in the 2003 All-Ireland Quarter-Final. Cummins, Kelly and Corbett also played on the All Ireland final winning team in 2001 as did panellist Paul Kelly. In addition, 3 of the Munster Final starting line-up – Seamus Callanan, Padraic Maher and Noel McGrath – have experience of winning All-Ireland minor titles in Croke Park as have 7 of their fellow panellists. So both sides on Sunday will have plenty of players who have tasted success in Croke Park! Supporters travelling to Sunday’s game in Croke Park are reminded to be careful to park legally if parking in the residential areas around Croke Park. Parking on footpaths or blocking gateways is prohibited and is likely to lead to a fine or vehicles being clamped or towed away. There are plenty of car parks near Croke Park and many of the city centre car parks are offering special rates on production of a match ticket. Hard luck to our minor hurlers and team management on their narrow defeat by Kilkenny in the All Ireland Minor Hurling semi-final played in Croke Park last Sunday. Despite a great and spirited second half comeback, Tipp could not quite get their noses ahead at the end of an enthralling game which they looked destined to lose easily half way through the first half. Well done to all the players, management and others who helped out for all their efforts during the year. There will be a meeting of Tipperary County Board on Tuesday, August 18th at 8pm in the Sarsfields Centre, Thurles. Congratulations to the Tipperary U-16 Ladies football team which won the U-16 All Ireland title last Saturday by defeating Roscommon in the final at Ferbane. GAA MUSEUM MATCH DAY MADNESS! Match Madness hits the GAA Museum this summer with a whole host of special events on match days including this Sunday for the Tipperary v Limerick All Ireland senior hurling semi-final. So why not go along if you are at Corke Park early on Sunday. Activities for all the family include County Colours Face Painting, Art Attacks, Add your GAA Memory to the GAA 125 Memory Wall, Live Hurley Making Demonstrations with John Torpey, NEW- GAA Photographic Exhibition, NEW- Croke Park Timeline Exhibition and Football and Hurling Interactives. Please note that activities will be ongoing throughout the day and are offered on a first come first served basis. Regular match day admission rates apply – Adult €4, Child €2.50, Concession holders €3, family €12.50. These events are open only to match day ticket holders. The August Tipperary Clubs Draw will take place in the Abbey Tavern, Cahir this Friday night, August 14th at 10pm. A great night’s fun and entertainment is guaranteed and all the latest lucky prizewinners in this fantastic draw will be revealed. As part of the ongoing 125 year celebrations, the GAA Museum is hosting a special All-Ireland quiz in search of Ireland’s biggest GAA ‘brainiac’. Entry is open to GAA enthusiasts nationwide who can hold their own in a battle of keenness, passion, and recollection for Gaelic sport. Jimmy Magee will act as quizmaster for the quiz which will run over two nights starting with a qualifying round on Friday August 28th in the GAA Museum auditorium. Those who survive the qualifier night will enter into a ‘head to head’ battle in the All-Ireland GAA Quiz grand final which will take place on Friday September 18th. The champion will get a trophy, tickets to the GAA Football All-Ireland Senior Championship final with dinner and a night in the four star Croke Park Hotel. The reigning champion will also make a guest appearance on GAA on RTÉ’s Sunday Game on the day of the GAA Football All-Ireland Senior Championship Final. All proceeds will go to the GAA designated charity CARI. Participation in the qualifying round is €20 per person. For more information please contact Elaine Powell at the GAA Museum (Ph: 01 8192375, Fax: 01 819 2323, Email: gaamuseum@crokepark.ie). The annual Under 8 Fundamental 8 Hurling Blitz will be held on Saturday 19th September with the Under 8 Football on Saturday 26th September. More details will be provided closer to the time. All Inter County Hurling underage tournaments are on Saturday 29th August i.e. Under 16 Tipp Supporters Club, Under 15 Carrigdoun and Under 14 Tony Forrestal. Again more details will be provided in the coming weeks. We sometimes forget how important the volunteers of the Order of Malta are to the staging of our games. There is an Open singles golf competition in Nenagh Golf Club on Friday August 14th in aid of the Order of Malta and there is still some space left on the timesheet. We would encourage as many people as possible to play in aid of this worthy cause. 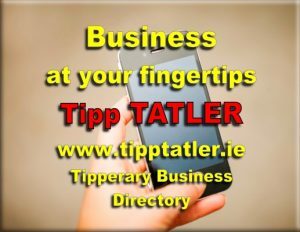 Please call 067 31476 or 067 33242 for timesheet. 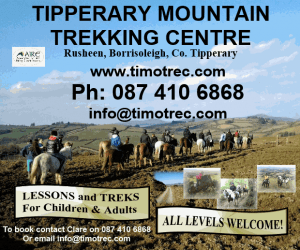 Entry is €20 for visitors and €10 for members.